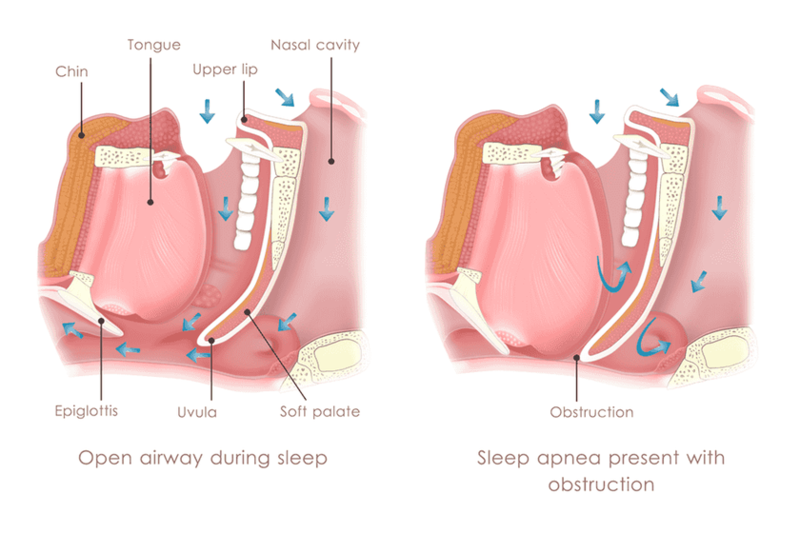 If you wake up feeling exhausted, or if others have complained about your loud snoring, you may be suffering from obstructive sleep apnea (OSA). In many cases, Dr. James Slaman can prescribe a convenient and effective sleep apnea treatment that helps you improve your sleep and enjoy more energy throughout the day. How else can sleep apnea treatment improve your life? With this condition, the soft tissues at the back of your throat periodically collapse and obstruct the flow of air when you sleep. Each time this happens, you will fully or partially wake up. Dr. Slaman integrates advanced technology to diagnose sleep apnea in Albuquerque, NM, and determine how well the initial treatment is working. In most cases, custom-made oral appliances are the most convenient and effective way to treat the condition. Our advanced ultrasound tool will send sound waves into your airways to check for obstructions. Sleep apnea is a potentially serious condition that can affect anyone of any age. However, you are at a higher risk for sleep apnea if you are an older male or if you are overweight. Patients with a naturally narrow throat or enlarged tonsils or adenoids may also be more likely to develop the condition. During sleep, the muscles at the back of the throat can relax and block the airway. OSA can cause a number of symptoms. Because you will never get a full night’s rest, chronic exhaustion and daytime sleepiness are two of the most common signs of sleep apnea. The strain on your body can also lead to irritability, forgetfulness, mood swings, and difficulty concentrating. You may also suffer from chronic headaches, particularly in the mornings. Snoring is another significant sign of OSA, though not everyone who snores has sleep apnea. As your soft tissues droop, the air will squeeze past them when you breathe. The resulting vibrations will cause loud snoring. To allow Dr. Slaman to better evaluate your symptoms, you should download and complete our sleep survey. You may then send it in or bring it with you to your appointment. In addition to analyzing your symptoms, Dr. Slaman will use our pharyngometer to diagnose OSA. This advanced ultrasound tool sends sound waves into your airways to check for obstructions. With this test, Dr. Slaman can simulate your airway and measure the flow of your breath. By comparing it to average anatomy, he can diagnose impeded air flow and sleep apnea. The test is minimally invasive and takes less than five minutes to complete. After your diagnosis, Dr. Slaman will typically treat OSA with a custom-made oral appliance from our practice. The device will fit comfortably over your teeth, gently moving your lower jaw forward while you sleep. This prevents your throat from closing so you can breathe freely. If you also suffer from bruxism, or chronic teeth grinding, Dr. Slaman can provide a slightly different appliance. Your device will both reposition your jaw and keep your top and bottom teeth from touching. For lasting relief from OSA, Dr. Slaman may need to adjust your appliance. Fortunately, with our ultrasound technology, he can measure the difference in airflow before and after you started wearing the device. In this way, he can monitor your progress with no need for a time-consuming sleep study outside your home. Once your device is correctly adjusted, you may notice a dramatic difference in the way you feel after just a few nights. Dr. Slaman uses a much more advanced system to treat sleep apnea than you would find at a typical dental practice. Contact our office to learn more about how our care can benefit you and to schedule your diagnostic exam. To schedule a visit to our practice, simply contact us online or call us at (505) 881-7586.